There are lots of general, transferable skills that we all use in social work communication all the time. The resources listed here all have some great suggestions about what this might look like and how we might do it better, and some have specific chapters too on communicating with children. 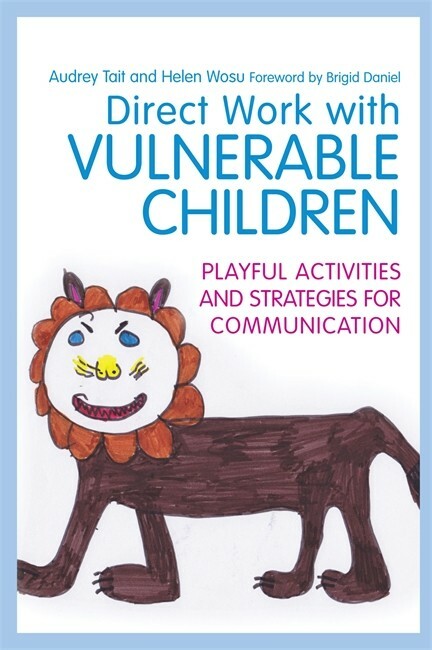 There are also a range of specialist books, articles, websites and tools that can be used to facilitate communication with children. Rather than trying to repeat all of the good advice and information here, we have simply suggested an indicative reading list and selected some resources that we think may be especially useful. 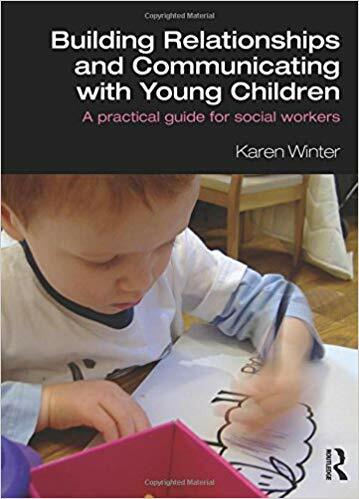 Finally, there are some resources that are simply too important to miss – key social work texts that are not specifically about communication, but which provide information and ideas that affect all our practice with children and families. If you want to find out more about the theoretical ideas that underpin our approach to communicating with children, please go to the section on the Child-Case-Context model. Morrison, F. Cree, V.E., Ruch, G., Winter, K., Hadfield, M. and Hallett, S., (2018) ‘Containment: Exploring the concept of agency in children protection social work practice’, Childhood, first published online November 14, 2018. Winter, K., Morrison, F., Cree, V.E., Ruch, G., Hallett, S., Hadfield, M.,(2018) ‘Emotional Labour in Social Workers’ Encounters with Children and Their Families’, British Journal of Social Work, Advanced Access 19 April 2018. Ruch, G., Winter, K., Cree, V.E., et al (2017) ‘Making meaningful connections: insights from social pedagogy for statutory social work practice’, Child & Family Social Work, 22, 2,1015–1023. Winter, K., Cree, V.E., Ruch, G., Hallett, S., Hadfield, M., Morrison, F., (2017) ‘Exploring communication between social workers, children and young people’, British Journal of Social Work, 47, 5, 1427–1444. Koprowska, J. 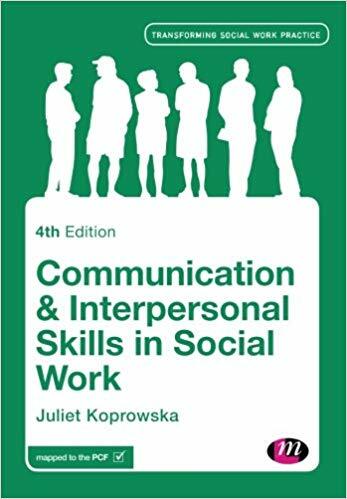 (2014) Communication and Interpersonal Skills in Social Work (Transforming Social Work Practice Series), 4th edition, Exeter: Learning Matters Ltd.
Lishman, J. 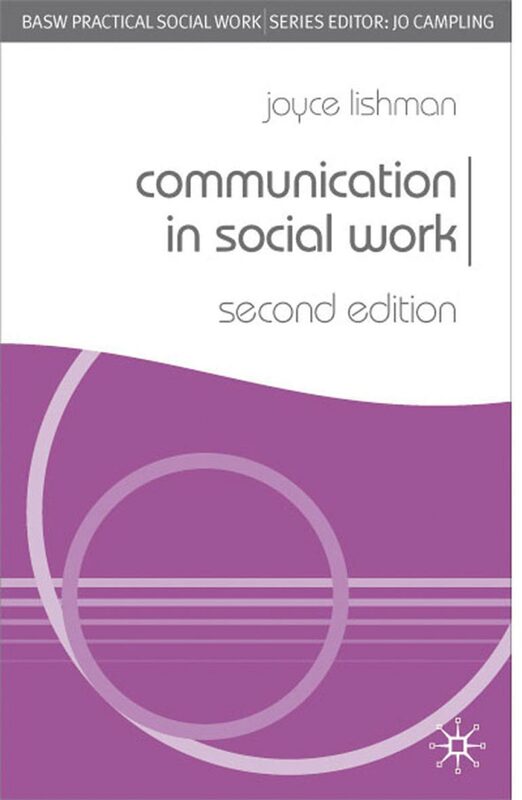 (2009) Communication in Social Work, Basingstoke: Palgrave Macmillan. Seden, J. (2005) Counselling Skills in Social Work Practice, Basingstoke: Palgrave Macmillan. Shulman, L. (2009) The Skills of Helping Individuals, Families and Groups, 4th edition, Itasca, Ill: Peacock. Trevithick, P. (2012) Social Work Skills and Knowledge. A Practice Handbook, 3rd edition, Maidenhead: Open University Press. 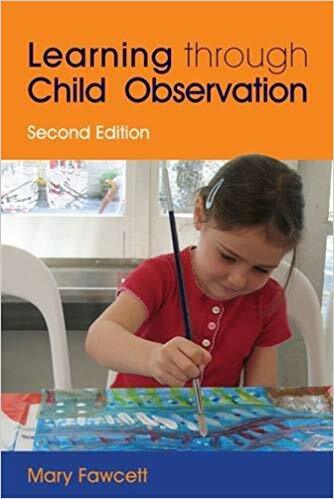 Fawcett, M. (2009) Learning through Child Observation, 2nd edition, London: Jessica Kingsley. Foley, P. and Leverett, S. (eds) (2008) Connecting with Children: Developing working relationships, London: Jessica Kingsley. 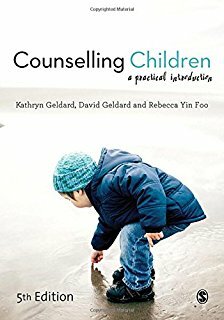 Geldard, K. and Geldard, D. (2013) Counselling Children: A practical introduction, revised 4th edition, London: Sage. Horwath, J. (ed.) (2009) The Child’s World: Assessing children in need, 2nd edition, London: Jessica Kingsley. Kohli, R. (2006) ‘The sound of silence. Listening to what unaccompanied children say and do not say’, British Journal of Social Work, 36(5): 707-21. Landreth, G.L. 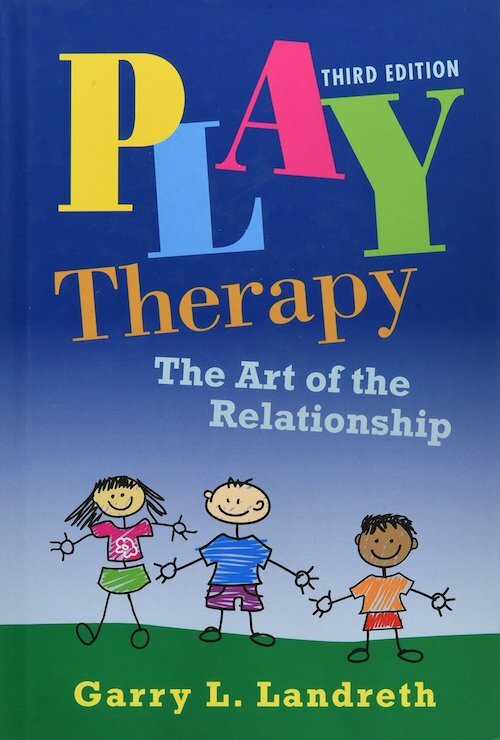 (2012) Play Therapy: The Art of the Relationship, 3rd edition, London: Routledge. 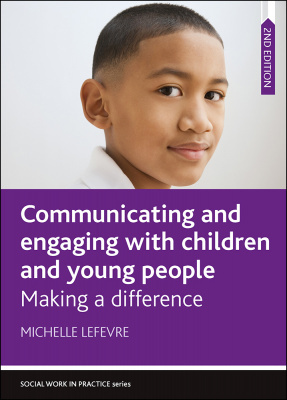 Lefevre, M. (2010) Communicating and Engaging with Children and Young People. Making a Difference, Bristol: Policy Press. Lucock, B. and Lefevre, M. (eds) (2009) Direct Work: Social work with children and young people in care, London: BAAF. McMahon, L. (2009) The Handbook of Play Therapy and Therapeutic Play, 2nd edition, London: Routledge. Milner, J. and Bateman, J. (2011) Working With Children and Teenagers Using Solution Focused Approaches: Enabling Children to Overcome Challenges and Achieve Their Potential, London: Jessica Kingsley. Morrison, F. (2016) Social workers’ communication with children and young people in practice, IRISS Insights 34. Stalker, K. and Connors, C. (2003) ‘Communicating with disabled children’, Adoption & Fostering, 27(10) 26-35. Tait, A. and Wosu, H. (2013) Direct Work with Vulnerable Children. Playful activities and strategies for communication, London: Jessica Kingsley. 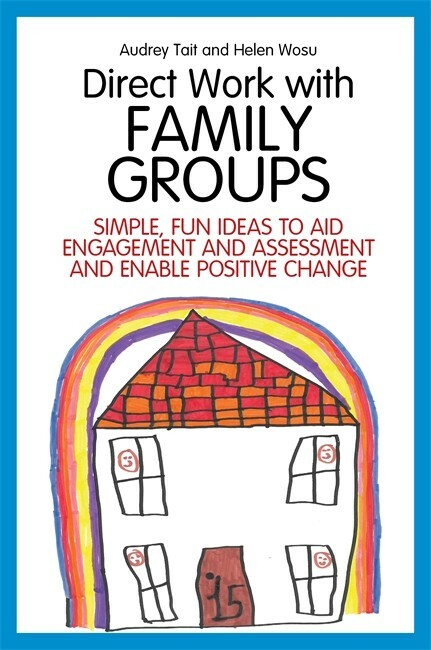 Tait, A. and Wosu, H. (2016) Direct Work with Family Groups, Simple, fun ideas to aid engagement and assessment and enable positive change, London: Jessica Kingsley. Turnell, A. and Edwards, S. (1999) Signs of Safety: A Solution and Safety Oriented Approach to Child Protection Casework, London: W.W. Norton & Company. Winter, K. (2011) Building Relationships and Communicating with Young Children. A practical guide for social workers, London: Routledge. Winter, K. (2015) Supporting positive relationships for children and young people who have experience of care, IRISS Insight 28. Woodcock, J. and Tregaskis, C. (2008) ‘Understanding structural and communication barriers to ordinary family life for families with disabled children: a combined social work and social model of disability analysis, British Journal of Social Work, 38: 55-71. Woodcock, J. (2011) Specialist Communication Skills for Social Workers. Focusing on Service Users’ Needs, Basingstoke: Palgrave Macmillan (Chapter 3 is on Working with Children and Chapter 5 on Working with Parents). Action on Hearing Loss, Communication Tips. Children in Scotland (2002) What Matters to Me: Citizenship in practice. CYCJ, Communicating with Young People with Learning Disabilities. Ecomaps – a useful guide is available here. Emotions – faces – see this link. Free Spirit Publishing, Teen Talk in a Jar: (Cards) Everyday Questions for Teens. Genograms – a useful guide is available here. Morgan, R. (2006) About Social Workers: a children’s views report, Newcastle: Commission for Social Care Inspection, Social Care Institute for Excellence. Todd Parr, Feelings Flash Cards, Chronicle Books. Richards, S., Lefevre, M. and Trevithick, P. Communication across Social and Cultural Differences, Tips for working with an interpreter, London: Social Care Institute for Excellence. SCIE has a useful learning resource on communication skills that allows you to work your way through a tutorial on observation, listening, questioning and creative skills. Signs of Safety – the Australian approach is outlined clearly here. Turner, C. (2003) Are You Listening? What disabled children and young people in Wales think about the services they use, Cardiff: Welsh Assembly. Banks, S. (2012) Ethics and Values in Social Work (Practical Social Work Series) 4th edition, Basingstoke: Palgrave Macmillan. Colton, M., Sanders, R. and Williams, M. (2001) An Introduction to Working with Children. A guide for social workers, Basingstoke: Palgrave Macmillan. Cree, V.E. 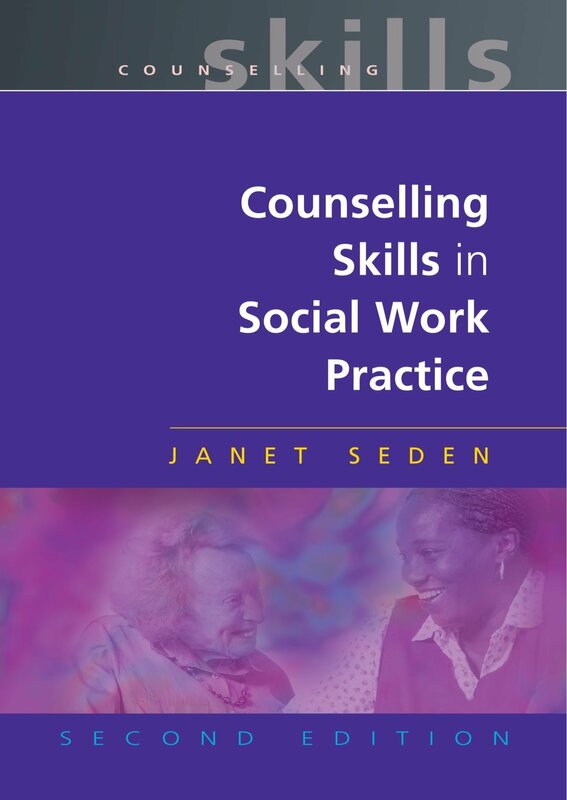 (2010) Sociology for Social Workers and Probation Officers, 2nd edition, London, Routledge (Chapter 3 is on children and Chapter 4 is on youth). Cree, V.E. and Myers, S. (2008) Social Work: Making a difference, Bristol: Policy Press (especially Chapter 4). Featherstone, B., White, S. and Morris, K. (2014) Re-imagining Child Protection: Towards Humane Social Work with Families, Bristol: Policy Press. Ruch, G. (ed.) 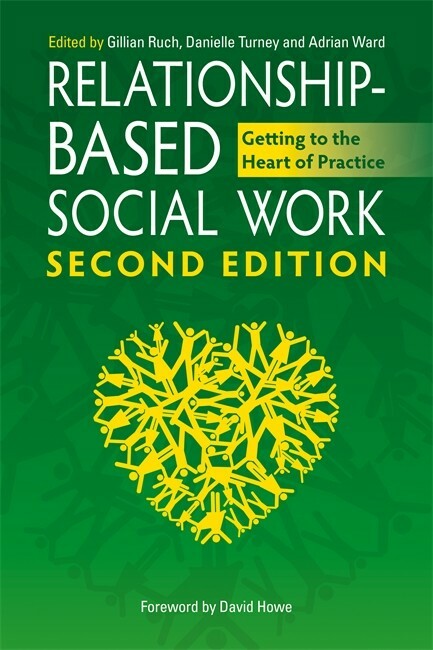 (2010) Relationship-based Social Work, London: Jessica Kingsley. Mary Hoffman and Ros Asquith (2016) The Great Big Book of Feelings, Frances Lincoln Children’s Books. Mick Inkpen (2006) Nothing, Hodder Children’s Books. Virginia Ironside (2011) The Huge Bag of Worries, Hodder Children’s Books. Polly Potter (2014) How are you feeling today?, Featherstone Education. Elizabeth Verdick and Marjorie Lisovskis (2015) How to Take the Grrrr Out of Anger, Free Spirit Publishers.